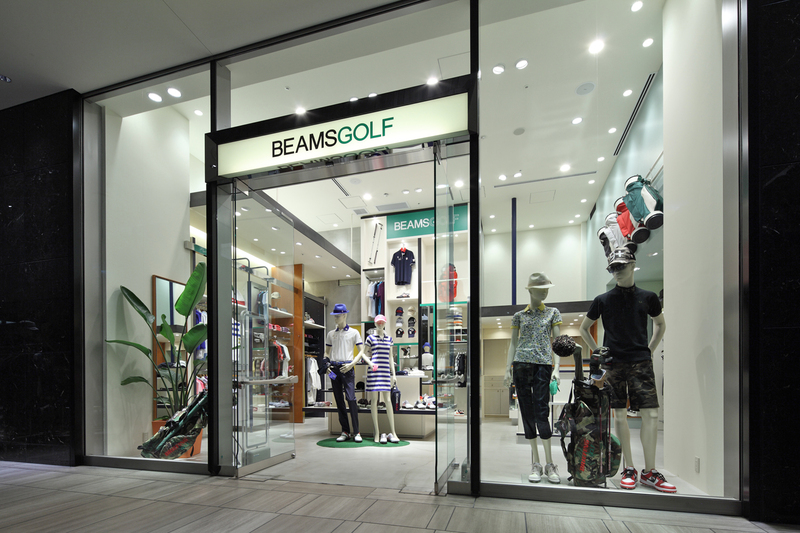 Beams opened the first of their "Golf" stores in Japan's Kansai region in April 2013. 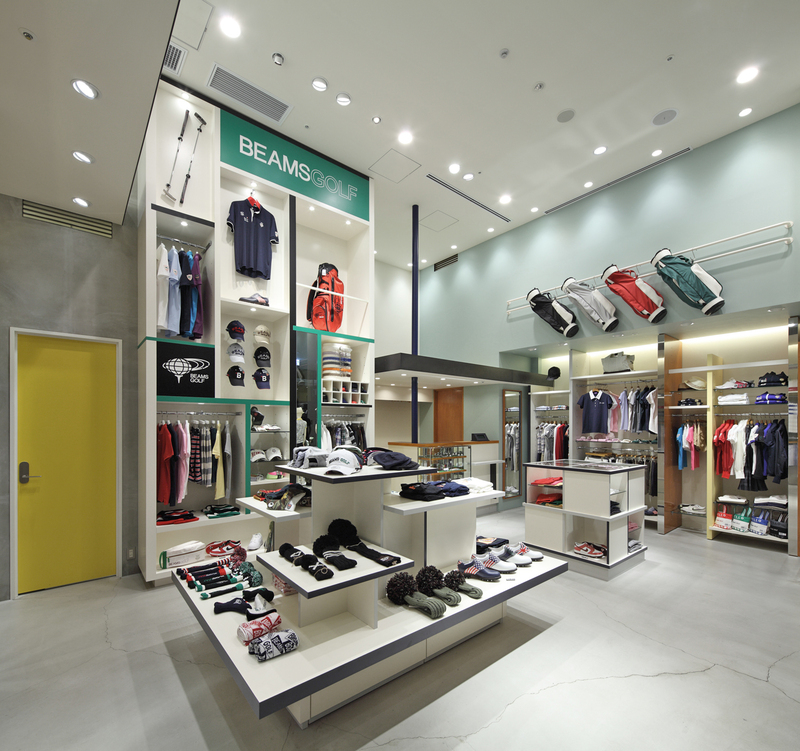 The 56-square meter space on the first floor of the Grand Front Osaka shopping center has unusual proportions: a shallow depth from front to back walls, a narrow window/entrance, and tall 4.5-meter ceilings. 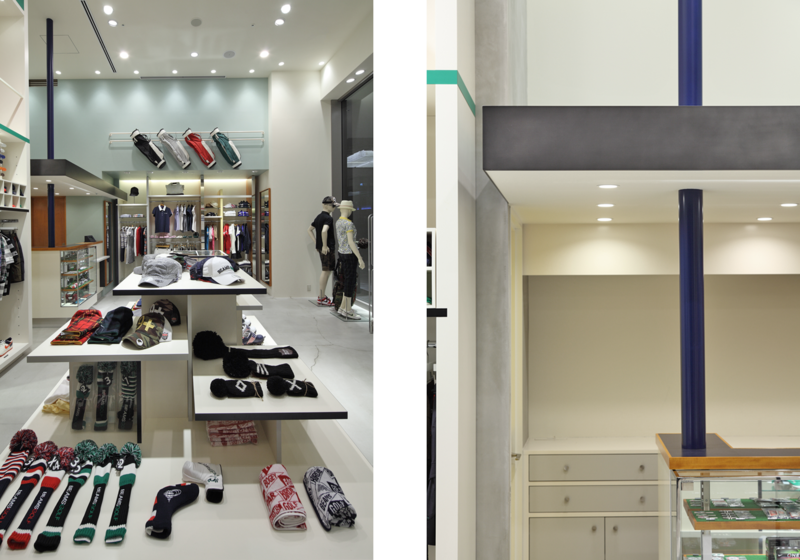 In order to make use of the potential in these unusual proportions, Jamo created tall and (physically) light display fixtures made of composite melamine board; these help create a lively space by establishing strong horizontal and vertical elements and elements of different heights. The color palette (white with green accents) creates an athletic atmosphere. 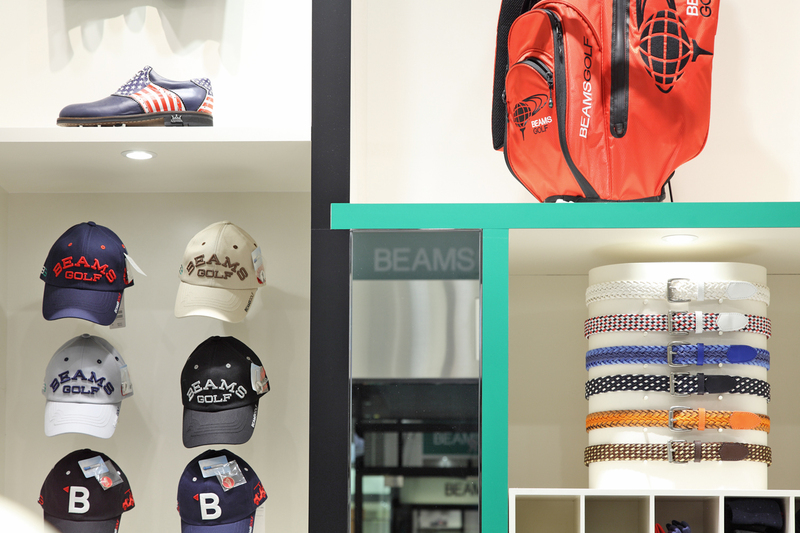 The overall space suggests to consumers a totally new type of golfing style and raises the image of the golfing apparel industry as a whole.